This Ultra Pioneer Traditional Concealed Thermostatic Valve will compliment any period bathroom suite, offers thermostatic showering via two easy-to-operate controls for temperature and flow. 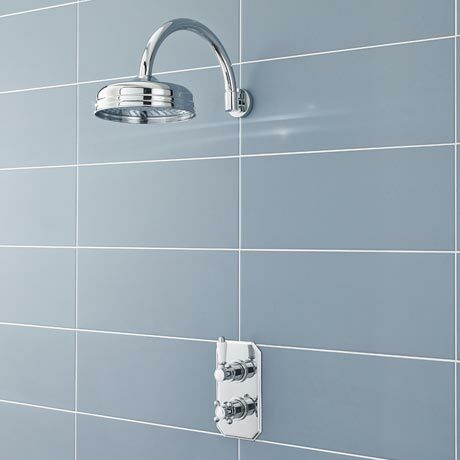 Supplied with a fixed 8" apron shower head with wall mounted curved arm. Attractive face plate with cross head and lever controls.